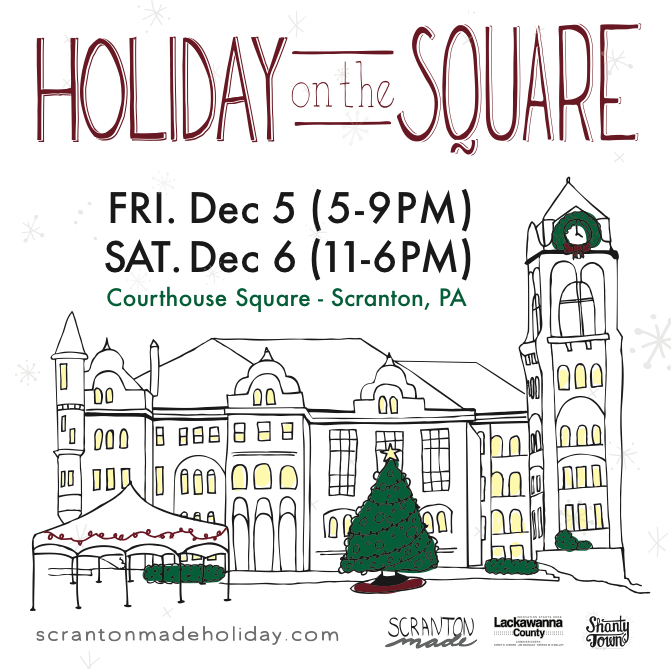 The Workshop will have a Holiday Open House during December’s First Friday and Scrantonmade’s Holiday on the Square. You can get down and dirty (with ink) by trying out free letterpress printing or shop for letterpress and screen printed holiday gifts. Posters, cards, t-shirts, coasters, tote bags, jewelry and more will be for sale. Or make your own printed gifts! On Saturday there will be free demos for kids and $10 workshops for adults. Check back soon for a detailed schedule online or the day of the event stop by 334 Adams for details. We are only 1/2 block from the square!